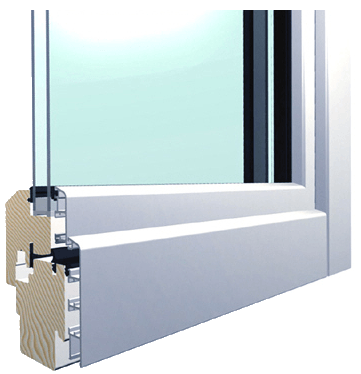 Available with double or triple glazing, the AluClad windows, also known as Aluminium Clad Timber windows, are low maintenance and thermal efficient. A superb combination of classic wood frame on the inside and an infinite colour variety of weather protective Aluminium coating on the outside. We supply and fit made-to-measure AluClad windows in the Dublin area. All our products and services are high standard and competitively priced. For all enquiries please contact us today.